I hold my work to a very high standard, and not only when measuring quality. I also want to make sure I am not having a negative impact on my surroundings. If anything, I want to leave the world a better place than when I found it. While many companies may talk big about ideals, this pledge of ethics is here to outline exactly how I strive to make a positive difference. The products I use are cruelty-free. The worst any animals endure in the process is a haircut. When I spin natural fibers, they come primarily from my own spoiled pet rabbit. She eats mostly food produced at local farms, but her favorite snack is the parsley I grow in my living room. When I buy any additional natural fiber from local farmers, I ensure their animals are treated with the same level of care. I also work with purely synthetic fiber, namely acrylic. Both the makers and distributers of this yarn treat their employees with respect. My work produces essentially no waste. Even the scraps of yarn I have left over are reworked into something else and repurposed. 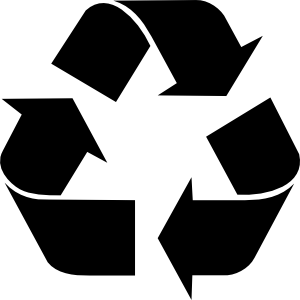 If anything, I have negative waste, because I am able to use materials (such as plastic bags) that would otherwise require recycling. Because I work by hand, I am not producing carbon waste, either. My spinning wheel is powered by a foot pedal, and I do not use a sewing machine. The packaging and shipping materials I use are 100% recycled, or as allowed by post. As someone who makes a living with my own two hands, I enjoy supporting others in similar positions. As an artist, I recognize the care and dedication of handmade items that machines are incapable of. All of my supplies are bought from either local vendors, or fellow sellers on Etsy. Whenever possible, I try to combine the two. All material ©H. Nelson 2008-2015 unless otherwise stated.